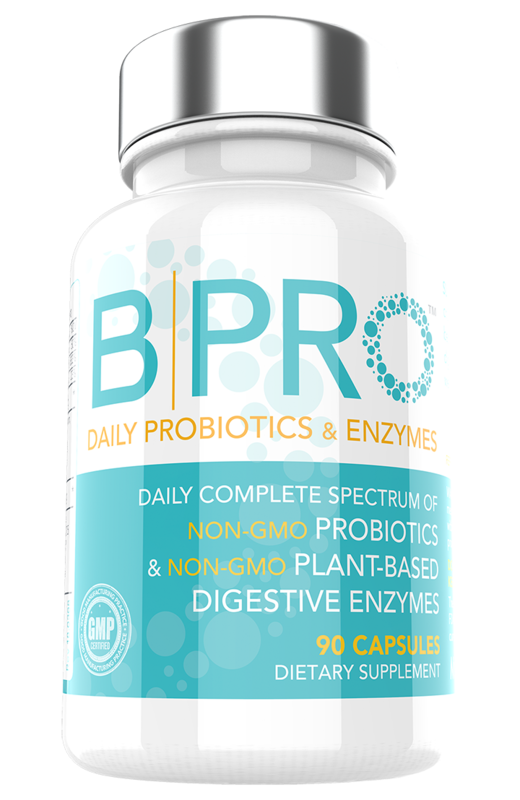 B|PRO is a daily complete spectrum of non-gmo probiotics and non-gmo plant-based digestive enymes that supports food digestion, nutrient-absorbtion and a stronger immune system. Our digestive system represents a vital link between your body and the outside world. In addition to the food it is tasked to break down, B|PRO is designed to support the digestive system with all the tools necessary to enhance nutrient absorption and support the cultivation of a healthy microbiome. The ever-expanding knowledge and research surrounding the extremely delicate relationship between our digestive system and immune system stresses the importance of optimum digestive functionality for our overall health. Ever feel tired after a meal? What about discomfort like bloating or gas. Eating was meant to fuel our body, not cause discomfort and require a nap. But the reality is that we’re just not getting the probiotics and digestive enzymes we require to properly digest our diets. B|PRO contains the probiotic and digestive enzyme strains we need to help bring balance to our microbiome—the ratio of good bacteria to bad bacteria—inside of us and help us more efficiently break down out food and absorb nutrients, leaving us more comfortable and less sluggish after we eat. Remember when you could eat anything you wanted? So What Makes B|Pro So Effective? Recent investigations into the probiotics industry by consumer health advocates and natural health blogs have turned up alarming information about how probiotics are produced and labeled. They've found nearly all probiotics available in the U.S. market today are secretly formulated with genetically modified ingredients that are intentionally not listed on the label. 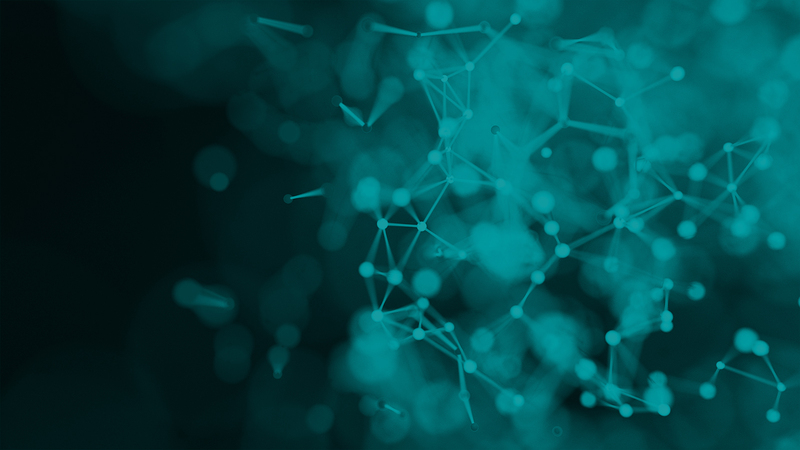 The most common such ingredient is maltodextrin, a corn-derived flow agent.What sets B|PRO apart from nearly all other probiotic/enzyme supplements isn't just what it contains, but what it does NOT contain. B|PRO does NOT contain soy, corn, wheat or refined sugars. This product contains none of the GMO corn-derived ingredient, maltodextrin or any other fillers or flow agents. Probiotics are crucial in counteracting the negative effects of GMOs in our modern, processed food supply. 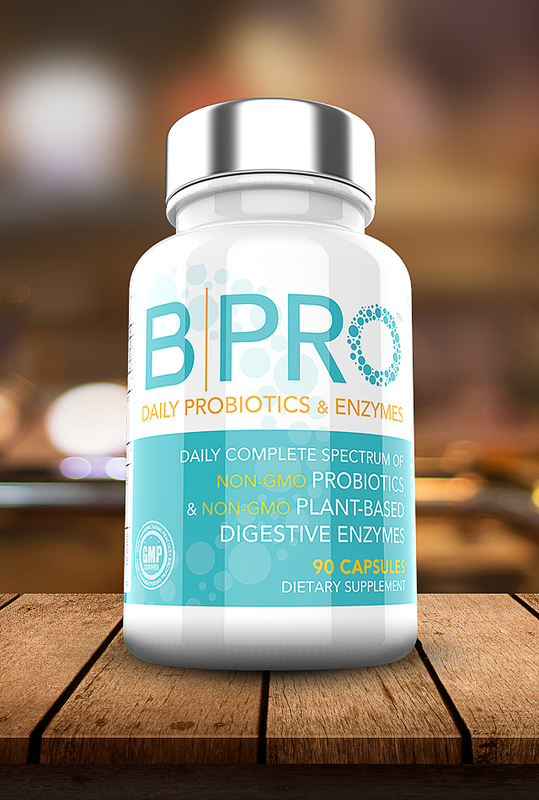 We believe you shouldn't add more of the 'problem' into the solution.If you're looking for a trusted source of probiotics and enzymes for digestive and immune support, look no further. B|PRO contains the highest quality of exactly what your gut needs—and nothing else. 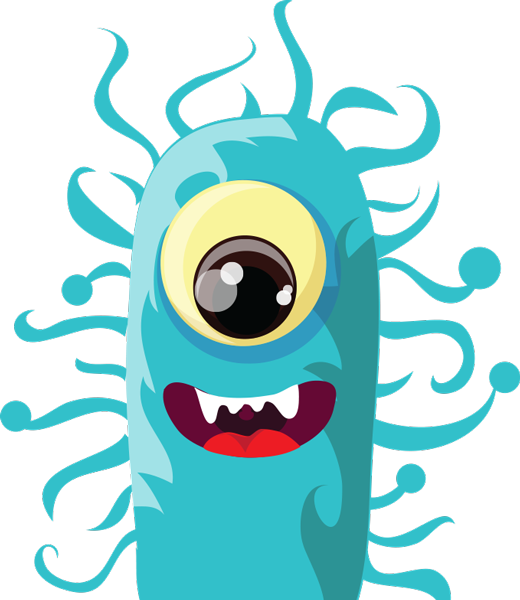 Single probiotic strains are unlikely to meet all of your health needs. That is why B|PRO has ten probiotic strains to complement the natural diversity of friendly bacteria in your digestive system for optimal balance. In addition to promoting digestive & intestinal health, this probiotic blend also supports healthy immune function. 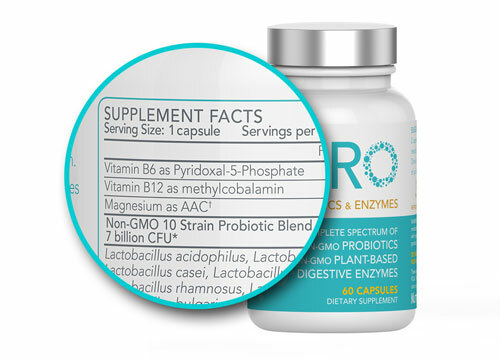 In addition to the probiotic and digestive enzyme blends, B|PRO contains a healthy blast of Pyridoxal-5-Phosphate (Vitamin B6), Methylcobalamin (Vitamin B12) and an amino-acid chelated Magnesium complex. Vitamin B6 is very important in the breakdown of protein we eat. 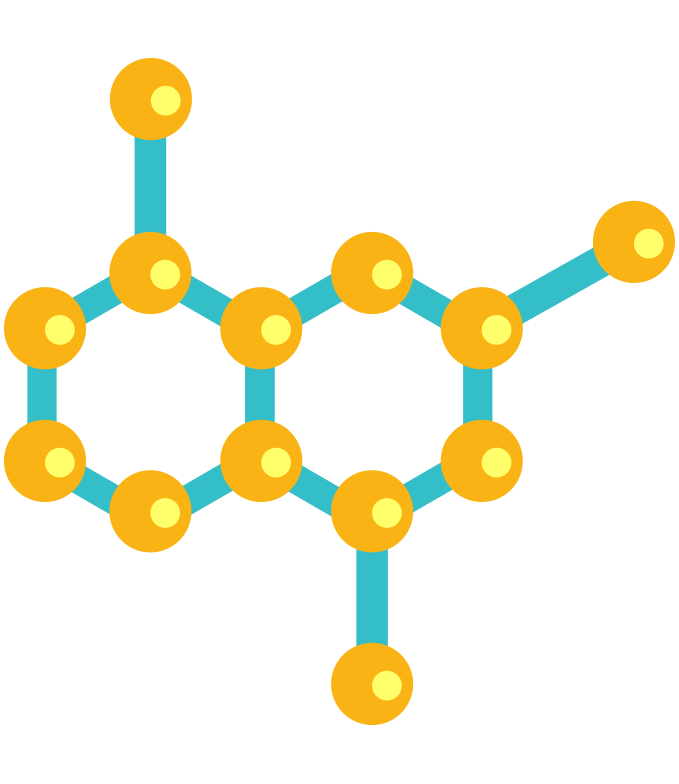 Vitamin B12 plays a crucial role in the part of our nervous system that controls our entire digestive process. Magnesium helps activate digestive enzymes and supports peristalsis in our gastrointestinal tract. The Friendly Bugs That Help Us Out! These Little Guys are on our side! This is the most commonly used probiotic. Lactobacillus Acidophilus is effective in decreasing candida (yeast) and supports the breakdown of lactose (milk sugar). It is also used by doctors in combination with conventional therapies to treat ulcerative colotis. This strain is one of the most important probiotics strains for vaginal health in women. This strain is a gatekeepers at the intestinal wall, helping to monitor what does and does not pass through into our bloodstream and onto the rest of our body. 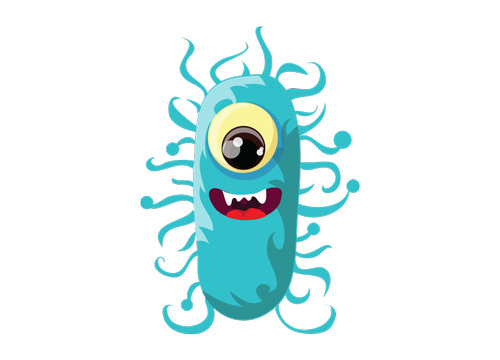 Lactobacillus Plantarum is has the ability to quickly dominate the population struggle against bad bacteria. It is able to suppress the growth of gas producing bacterium and therefore may help those who suffer from IBS. This wonderful probiotic is believed to play a key role in the production of serotonin and could be beneficial in the treatment of mental disorders such as depression. This probiotic is widely used in OTC products to reduce flatulence. L. casei is commonly used as a safe and effective treatment for acute and infectious diarrhea. THEY'LL BREAK IT ALL DOWN FOR YOU! IT'S NOT WHAT YOU EAT—IT'S WHAT YOU ABSORB, THAT MATTERS! Digestive enzymes in our gut not only help to break down the food we eat, but also play a crucial role in the absorption of the nutrients that come from our broken down food. 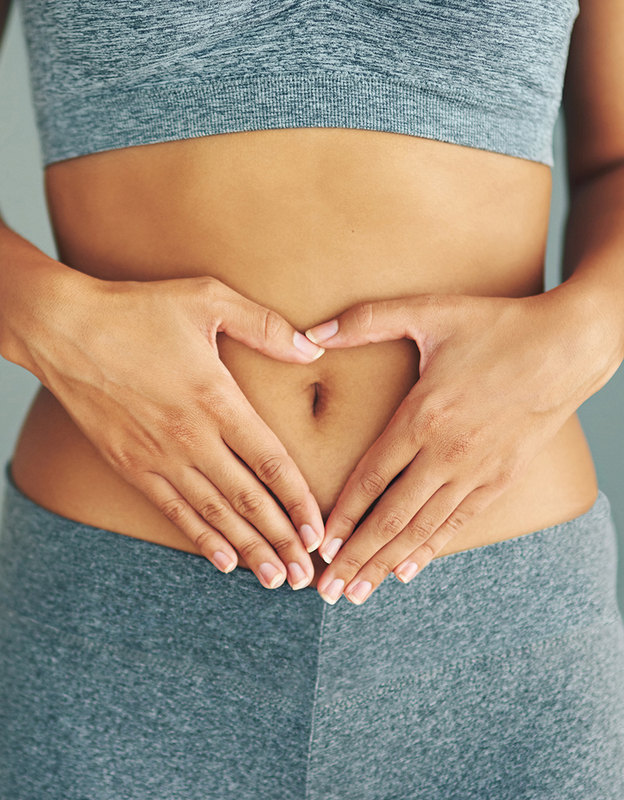 Increasing the levels of digestive enzymes in our stomach will result in faster digestion, easing discomforts commonly associated with digestion like bloating, gas, and irritability. An increase in nutrient absorption will increase our energy levels and leave us feeling full for longer periods of time. 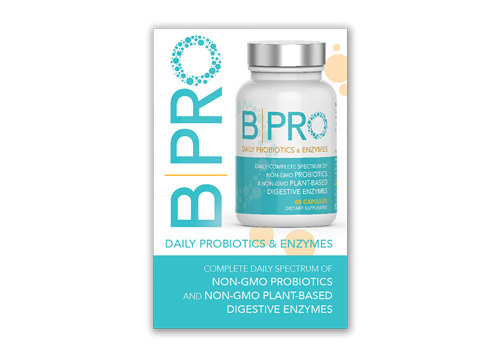 B|PRO is formulated with only NON-GMO, natural plant-derived enzymes which enables the enzymes to work in a wider pH range than other forms of digestive enzymes such as animal derived enzymes which get destroyed in stomach acid. 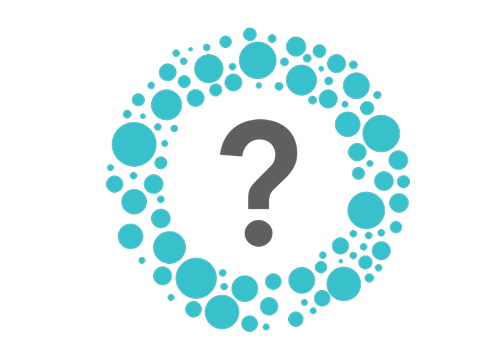 Each capsule contains an 11-strain digestive enzyme blend specifically chosen to help digest the wide variety of foods that we eat. 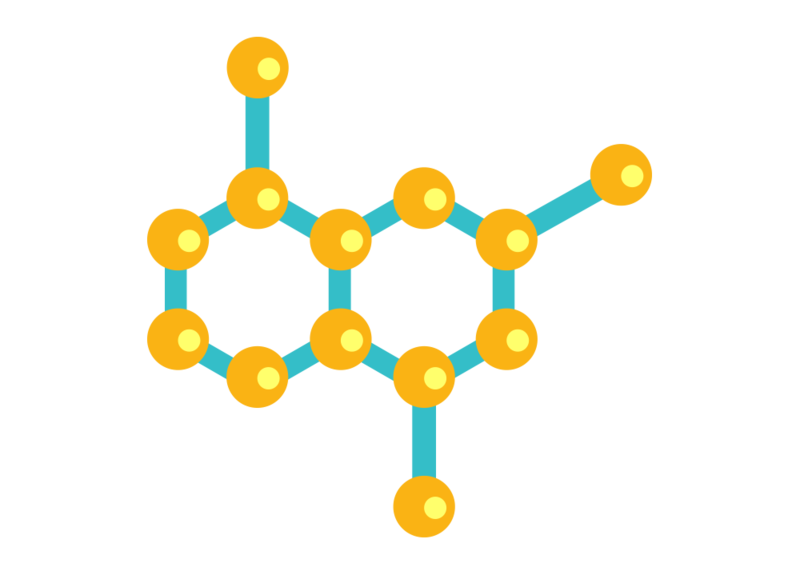 WHY DO WE NEED AN ENZYME SUPPLEMENT? Our bodies produce two types of enzymes—metabolic and digestive. When we eat cooked or processed foods, nearly all food enzymes are destroyed which forces the body to supply all of the needed digestive enzymes. This can overstress the pancreas and its ability to produce metabolic enzymes (enzymes needed for all bodily functions). Food that is cooked over 118 degrees contains almost no functioning digestive enzymes. Approximately one third of the body's energy is spent digesting food. When we're using less energy to digest food and absorbing more of the nutrients we are breaking down, we'll feel energy instead of fatigue after meals and it will take longer for us to become hungry again. Adults take 1 or 2 capsules on an empty stomach. For best results, take before meals to aid in digestion. 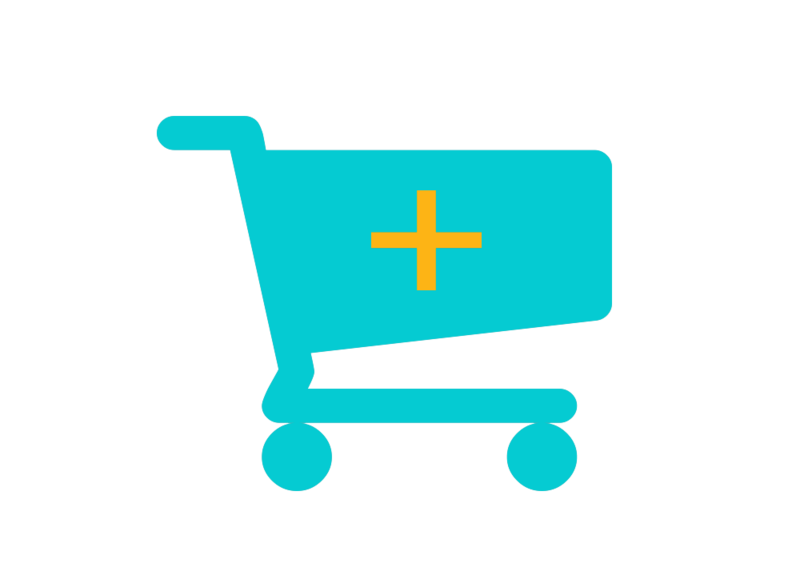 If you are nursing, pregnant, taking medication or have a medical condition, consult with your health care professional before taking this product.